It soon became obvious that there was also a high demand for basketball in our community. The goal for this ministry is to try to share Christ's love through sports and to let families know they're welcome at FBC Waco. Crain mentioned that making the league affordable has always been a priority. For $10, a child gets a full athletic season and a jersey. 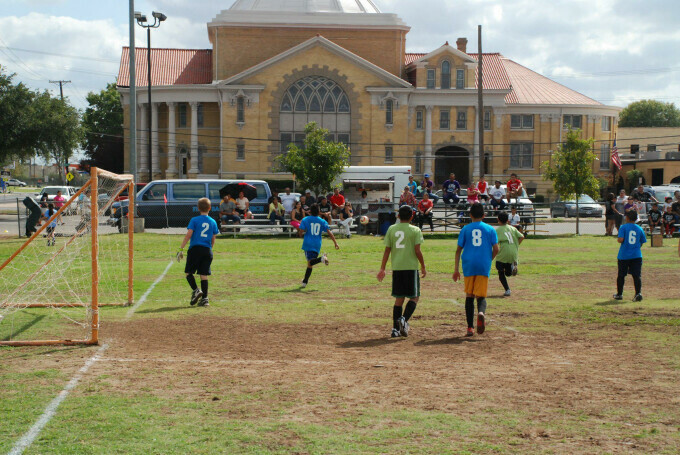 Our sports leagues have become a staple for many families around our church and throughout greater Waco. “We are always pushing at the end to get enough coaches,” Crain said. We'd love for you and your family to be involved. For information on how to be involved as a coach or volunteer with the league contact Robin Priddy.